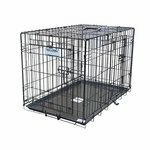 ProValu Two Door Folding Dog Crates. 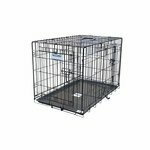 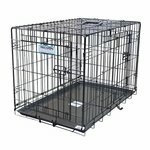 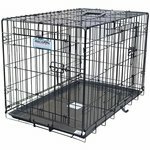 These Pro Value "suitcase-style" wire crates by Great Crate provides safety, security, ventilation, and visibility for your pet in a durable wire kennel. 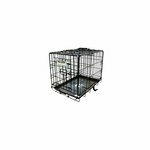 Constructed from heavy-gauge wire, these sturdy crates are built to last, yet will fold in seconds, making them easy to store and transport.